Sentiers de France offers you a large range of walks with complete freedom, without guides or groups, in the most beautiful regions of France. Everything is organised, all you have to do now is walk! Set off with a lightness of step and spirit (without that heavy, laden bag that cuts into the shoulders of other walkers you pass) and walk without constraints. Trust us to help you discover the most precious parts of France, its landscapes, its historic, gastronomic, œnological and cultural heritage. Our walks are independent. You set off when you want, you walk at your own pace as a couple, as a family or with friends, following the detailed instructions in a map book and 1/25000 scale maps, which we will send you two weeks before your walk. We offer you more than 100 walks, from A to B or in a loop. We have classified them by theme (sea, mountains, lakes and rivers, historic paths), by region, by level of difficulty and finally by length. As all of our walks are different, you will definitely find the one best suited to you. To get away for a long weekend, we suggest our weekend and short break walks. 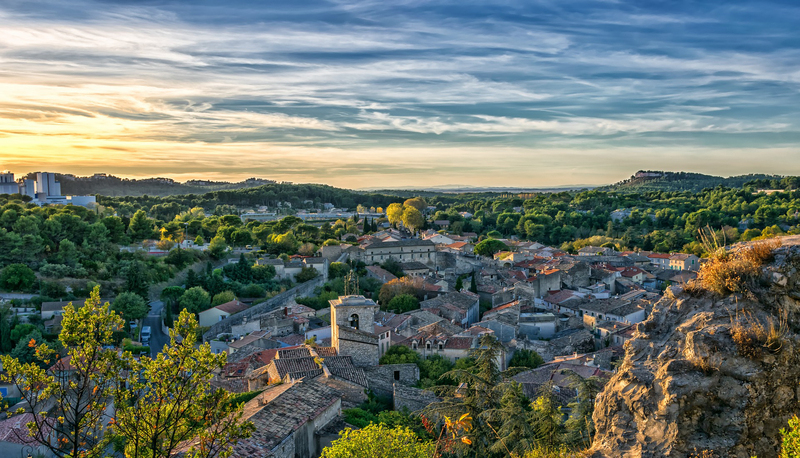 You can enjoy getting back to nature during a three or four day stay in regional France. Our catalogue is so diverse – all wishes can be fulfilled! All the walks are created, developed, offered and managed by Sentiers de France, a guarantee of quality and excellent value for money for almost 20 years. When dinner is included, we select a fixed price menu (3 or 4-courses menu – local cooking menu for Standard walking tour or gourmet /gastronomic menu for Comfort walking tour) on this you have choices of first courses, main courses and desserts. Luggage transfer between accommodations You walk with a light daypack containing whatever you need for the day as picnic lunch, water bottles etc. Also, we organize transfer by taxi to avoid uninteresting areas as business parks in order to keep the length of the day walk at reasonable level or take you to a charming hotel away from the itinerary. Start of the walking tour on any date you want. A la carte or customized walking holidays in France. – You don’ t want or have not enought time to do the whole tour. You want to add one or some rest days or sightseeing… you want to start or end the tour in another place… skip one or several day walks… or continue with another tour… Then “a la carte” tour is the one for you! Please fill in the form saying what you want or contact us and together we shall design your tour.